with a clear Texas Title. Kick up rudder and centerboard for easy beaching. Stable 275 lb. hull that allows for a wide range of crew weight. Flared sides provide a comfortable hiking edge. A planing hull with lots of cockpit space and storage. Overall this boat is in good condition. Used only in fresh water. Includes one brand new set of racing sails and one used set of sails in good condition. All lines and halyards are in good condition. 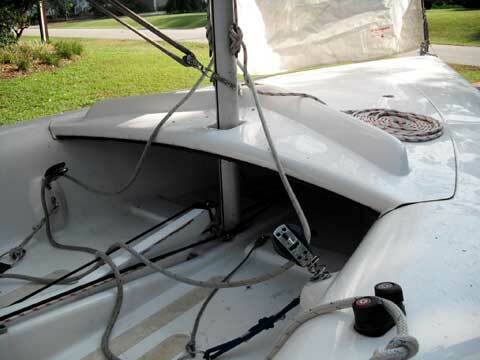 The centerboard has a small crack near the lifting handle that will need repair. The tiller extension will need a new small rubber gromet that conects it to the tiller (I have the old one). 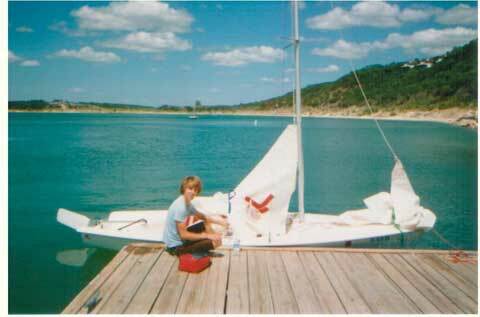 Comes with all the original parts, sails, clear Texas title, and trailer. Boat is located in San Antonio, Texas. SOLD. 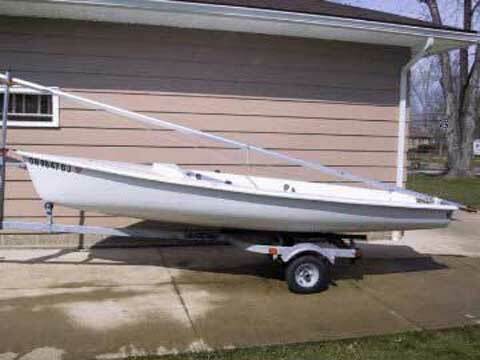 I sold my "JY15113" boat on your Sailing Texas website. Thank you very much for all of your help and for placing my ad on your well respected site. Thanks again, I really do appreciate it.